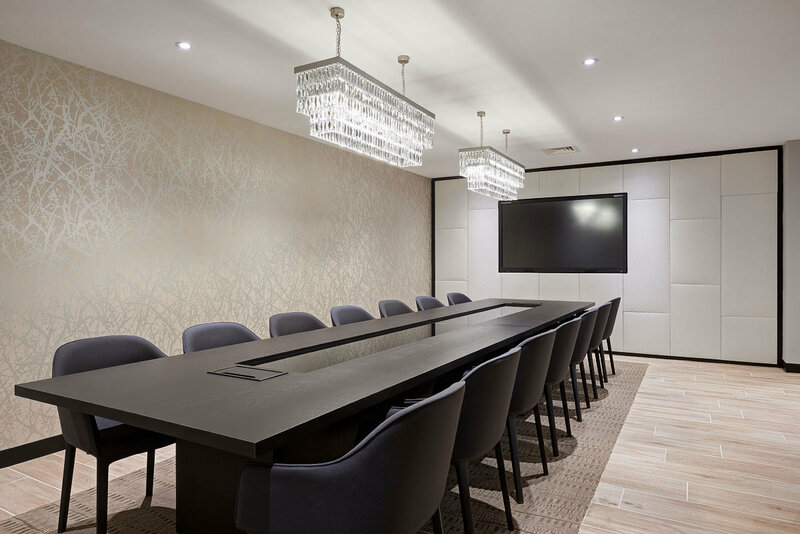 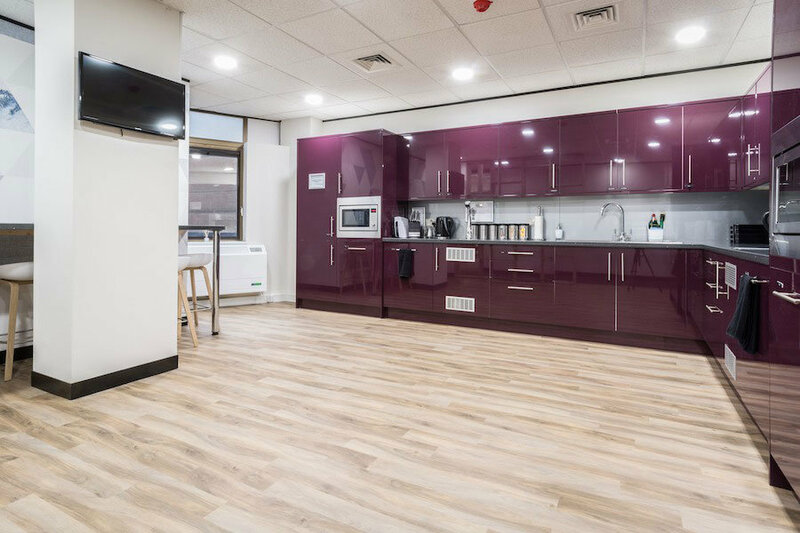 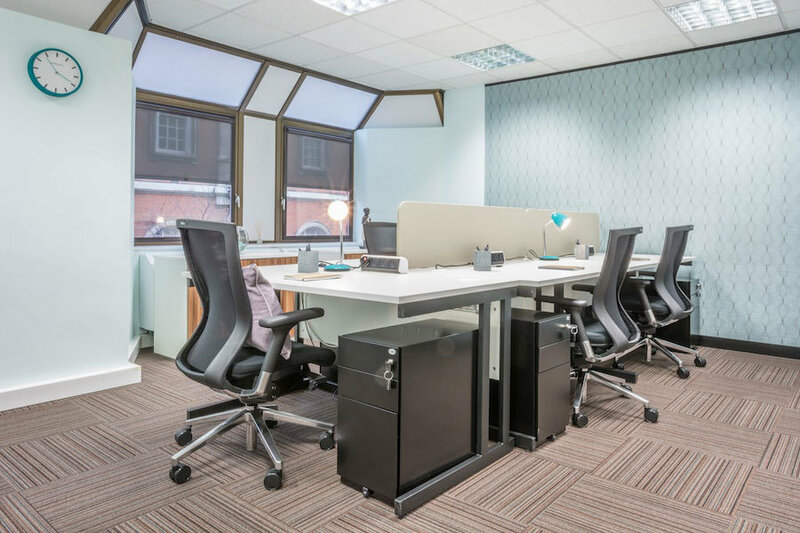 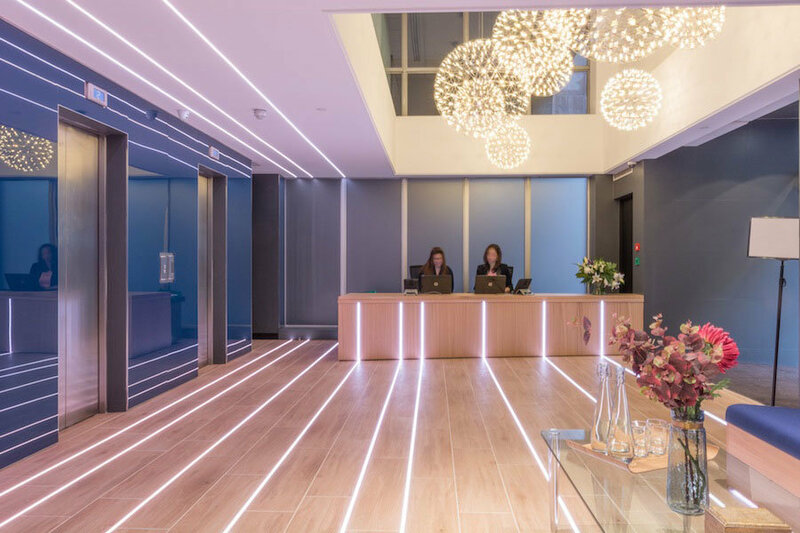 This is our third project with one of London’s leading serviced office providers, seeking to provide top-level short to medium term serviced and managed offices – with their clients own identities at the forefront of their vision. 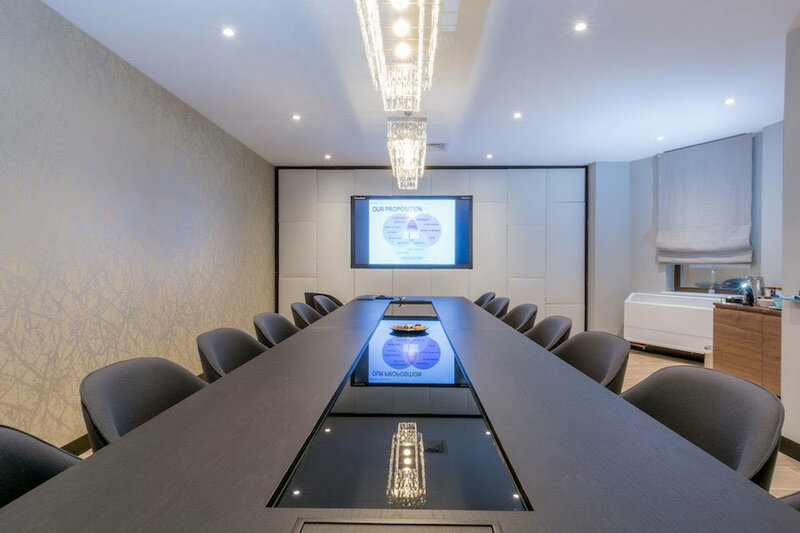 One Avenue Group’s serviced office vision is manifest in this unique office design. 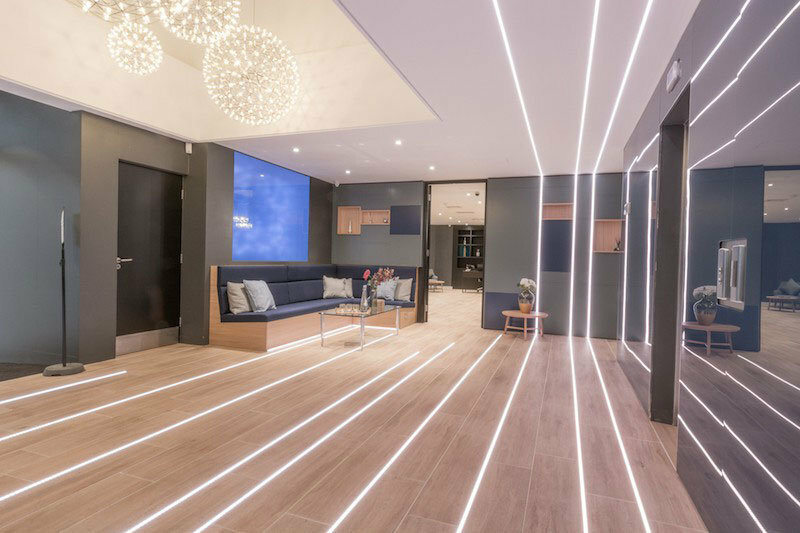 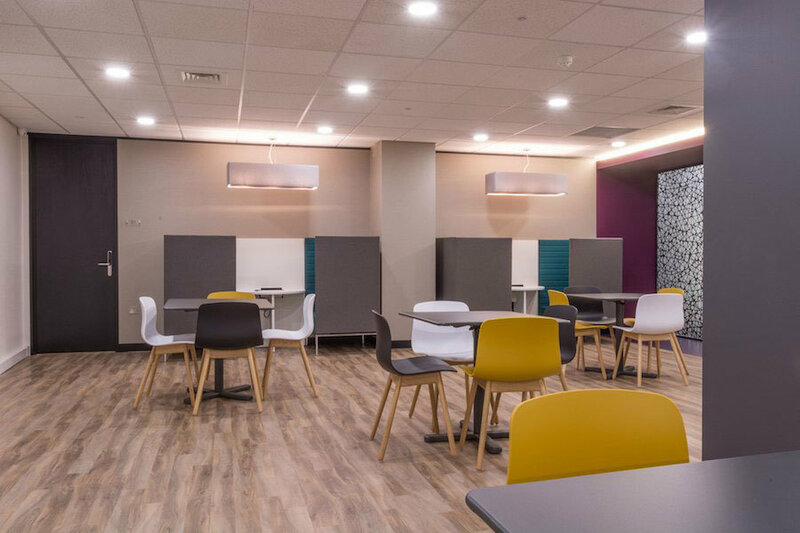 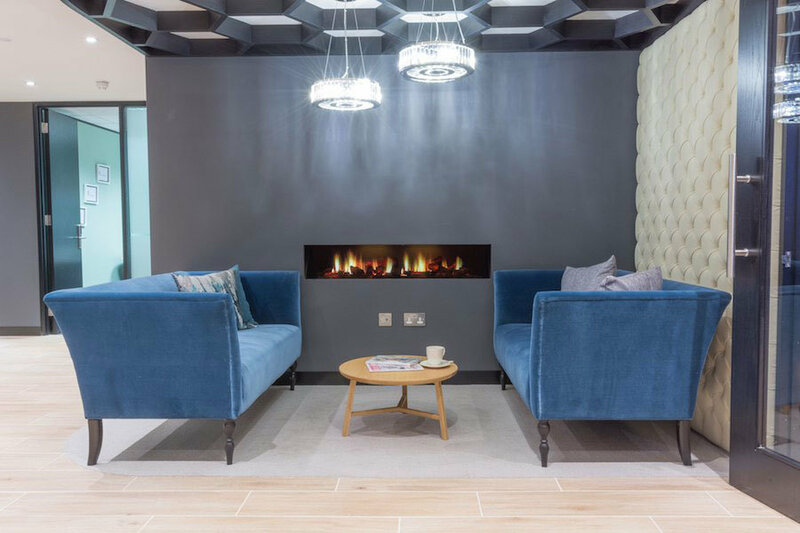 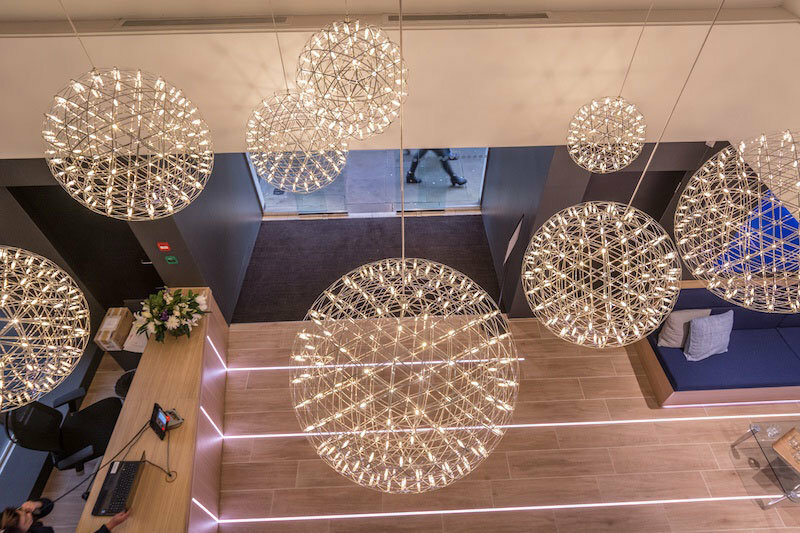 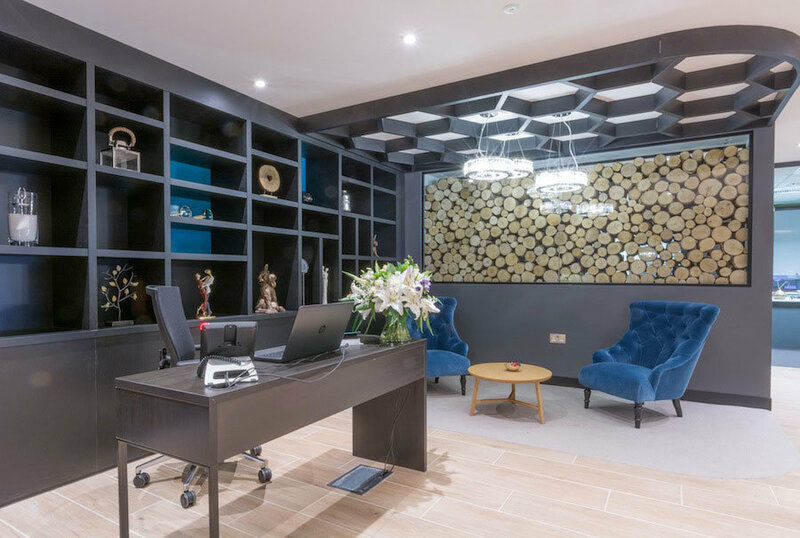 A welcoming open building reception with programmable LED lighting integrated into the flooring and furniture, a contrasting secondary lounge reception with welcoming sofa areas and fireplace, flexible meeting rooms and cafés with games areas and socialising work-meet areas. 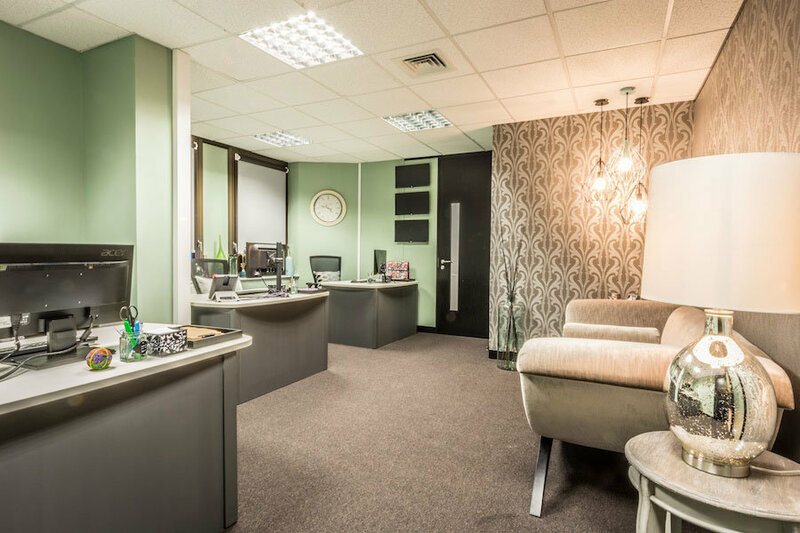 This 50,000 sq/ft office interior was built around giving its occupants all the areas necessary to outperform. 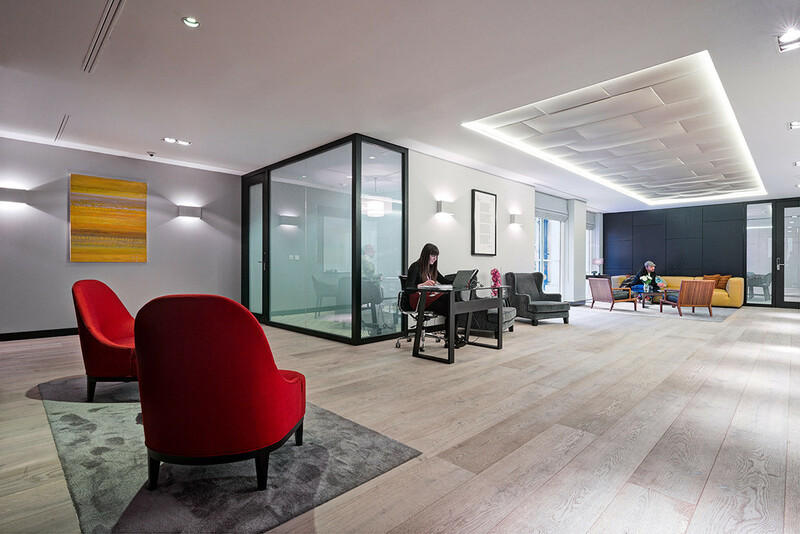 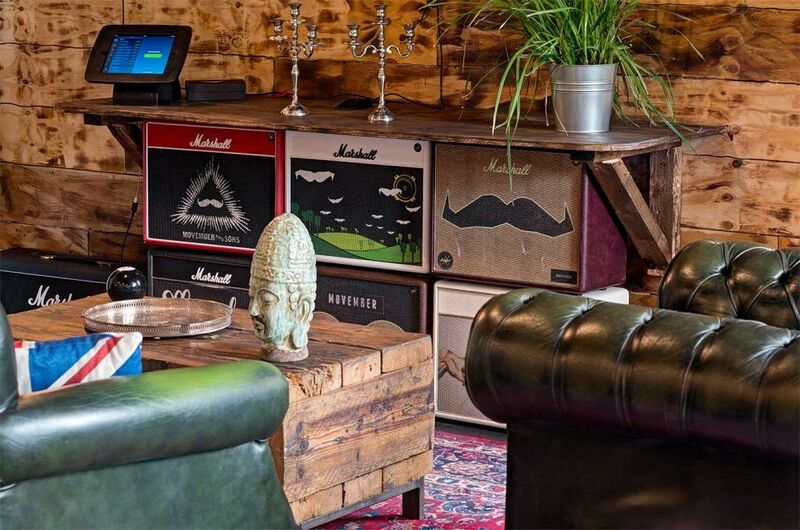 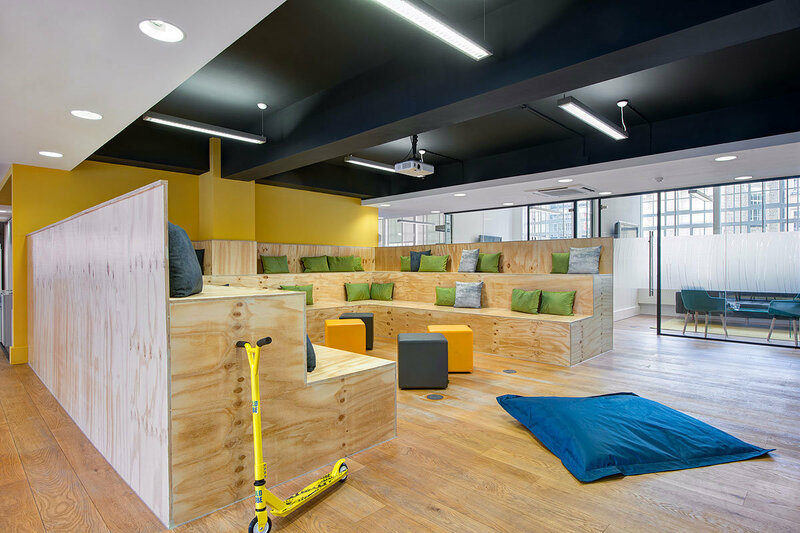 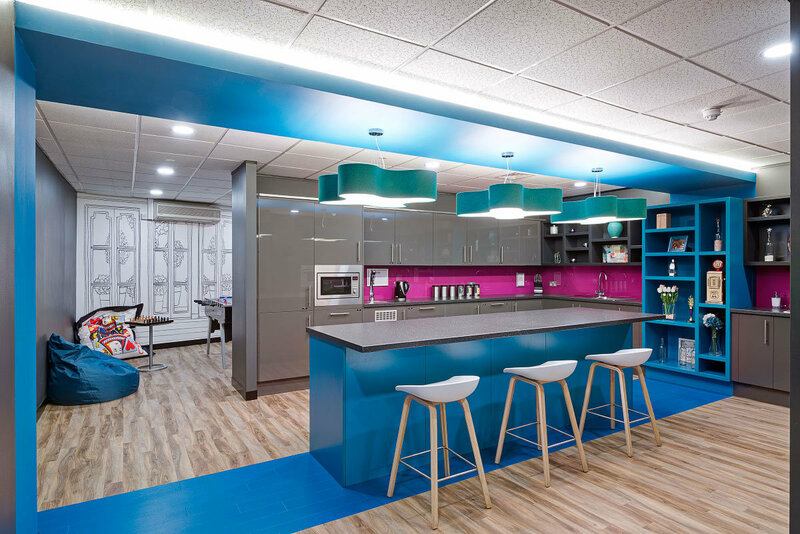 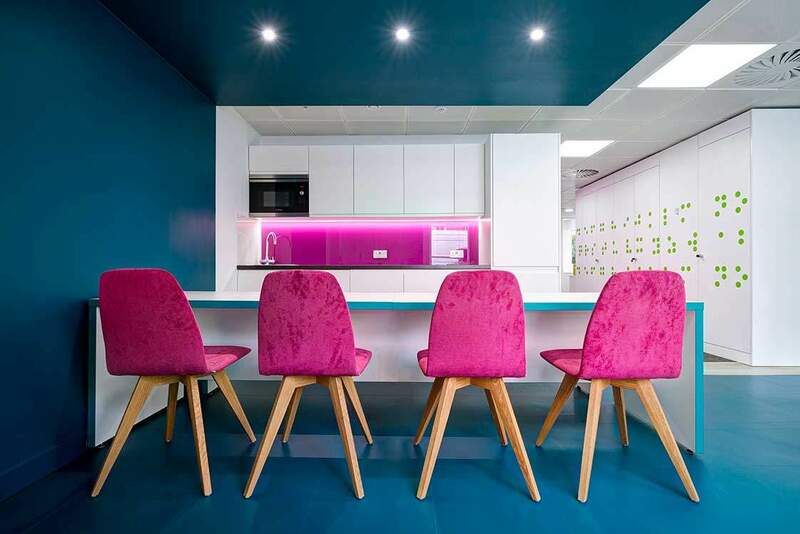 The office interior may raise a few eyebrows, but there’s no denying that it delivered and is a space that inspires occupants to do their best whilst mirroring the vision and culture of One Avenue Group.